Whoop! Today MAC Cosmetics just announced their newest leading lady for the Viva Glam campaign. And it is none other than the pint-sized pop star DIVA Ms. Ariana Grande! In addition to this lovely songstress bringing down the house with her voice, she can also add raising money for a great cause to her list. 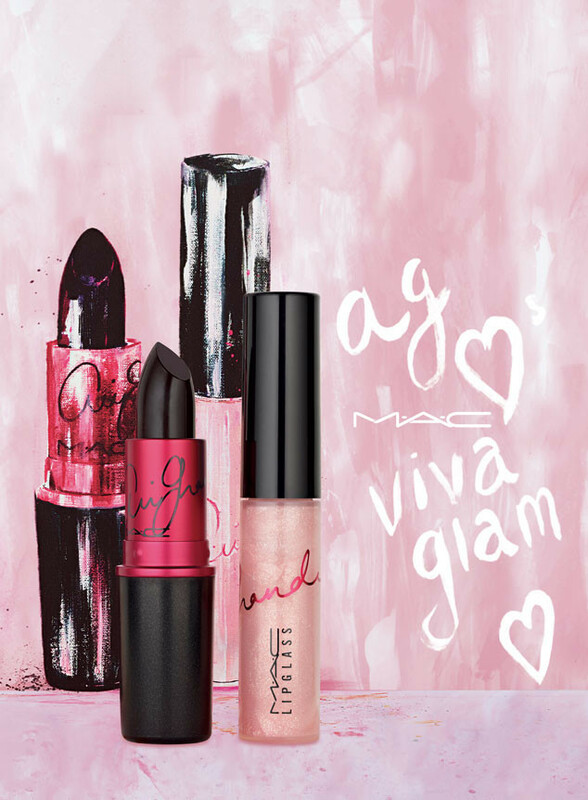 100% of all proceeds for Viva Glam lipstick and lipglass go directly to the MAC A.I.D.S Fund. This equals food, shelter, and even preventative medicine that stops the disease from being spread from mothers to their children. Available this January, this lippie is a MUST buy! And how beautiful is this the Viva Glam Ariana lipstick?!?!?! That deep sultry plum color gives me the chills. And I love how they mixed things up with the super soft and sparkly gloss. They def would work wonderfully together or separate. Either way there is something for everyone! What are you thoughts makeup lovers?!?!? !